As a toy photographer to have to choose your favorite figures is not the simplest task because it’s like choosing which of your friends get to hang out with you the most. Luckily this all plastic so even if you get around to one of your figures after weeks it’s still going to look and pose the same. That’s provided Toy Story is fictional. This guy has a face only a mother or a toy photographer could love. 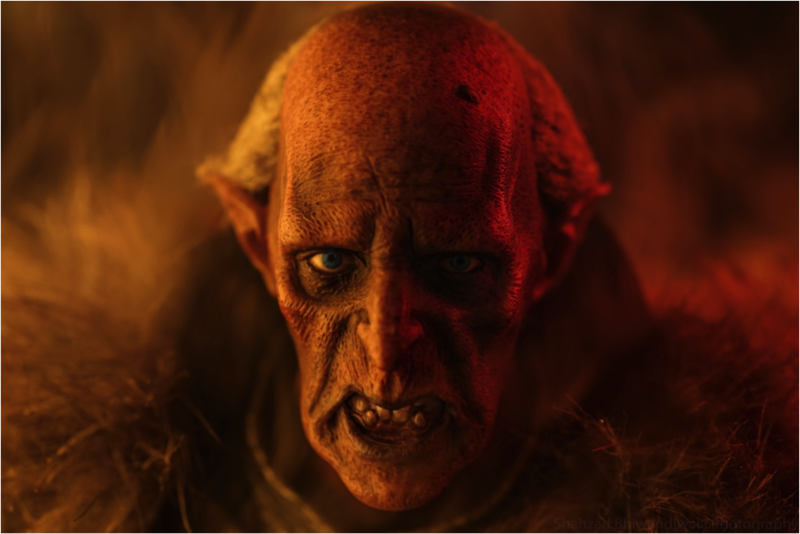 Asmus did an outstanding job with this guy and nailed everything from the head sculpt to the costume and accessories. He’s just a ton of fun to pose and the expression he comes with can covey a gamut of expressions from rage, fear to jealousy. It’s quite remarkable when a figure can do all of that. Personally Grishnakh is also a figure that is very dear to me as it’s the first figure I got as part of a collaboration. If I am ever stuck on what to shoot I automatically reach out for this ugly fellow. When a figure is one that you feel you can reach for at any time even with nothing planned out and still come up with a concept you’re happy with on the fly, that’s a figure that you should always cherish. This fellow is a sheer showstopper. This walking carpet is probably more expressive than most people you’d come across in a day. He can pull off practically any accessory in any setting. You can really experiment with this guy. He poses incredibly well and you never need to worry of him nose diving. 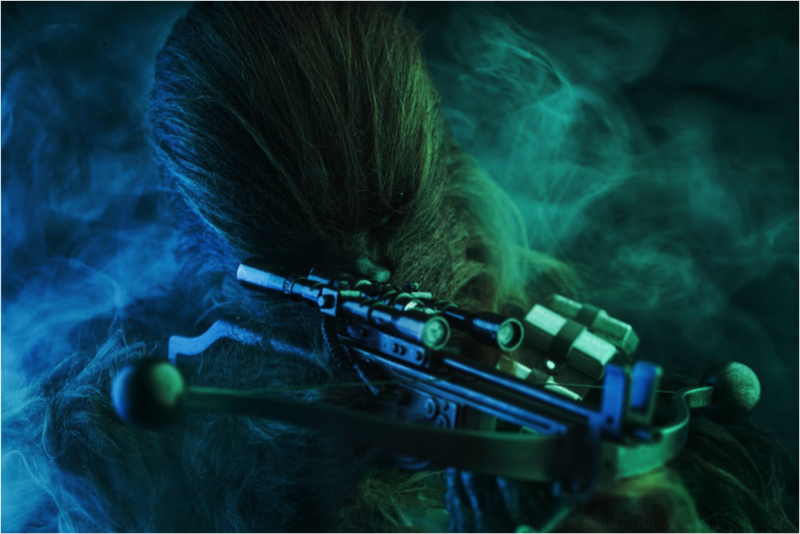 He’s one strong wookie and an absolute must have for any Star Wars fan. This figure helped me fine tune my lighting skills. Chewie is definitely not an easy figure to light up, especially if you want the light to reach his eyes. You need to be patient and you need to accept it that to get the perfect shot with Chewie is going to take a while, you can always get a good shot, but a perfect one is going to test your patience. That said, I have never shied away from photographing everybody’s favorite carpet. For me Mezco was a company that came out of nowhere and blew up the 6” market. Cloth clothing on 6” toys was something that was so mind numbing for me. 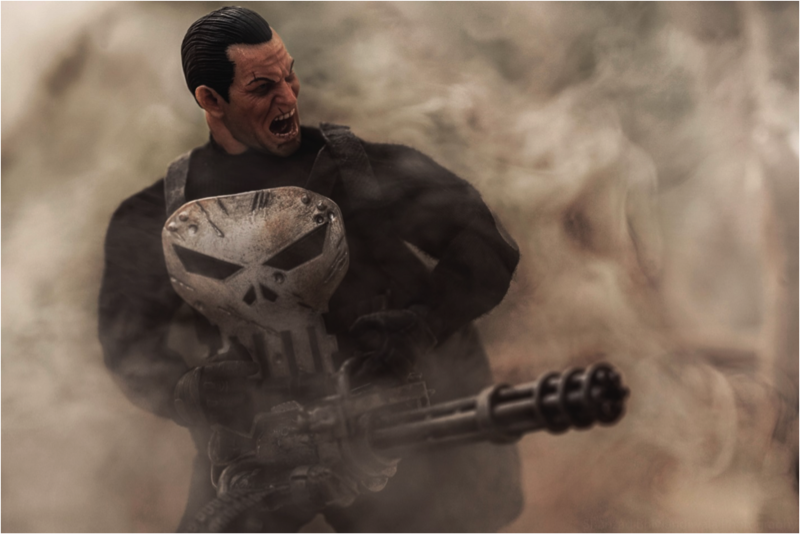 The Punisher is everything an action figure should be, strong design, cool look, weighty, accessorized and coming with multiple portraits and hands. There was nothing this little guy couldn’t do. As we all know weaponry in the 6” scale is a little difficult to come by except for what might have come with other figures. Luckily for me I had a gattling gun lying around and after a little rummaging through the accessory box, I had the Punisher outfitted with his little friend. Let’s just say the results were, extreme. And in a good way. What is better than Iron Man you ask me? 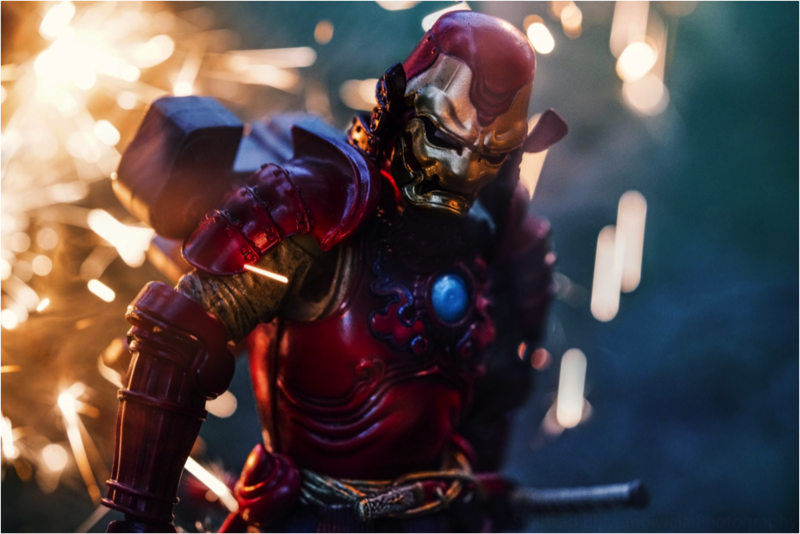 Samurai Iron Man. Samurais have been an integral part of my childhood and were every kind of cool to eight year old me, fast forward 18 years and they are still every kind of cool for me. Tamashii Nations came up with the brilliant idea of transforming our pop culture icons into badass feudal japan warriors and I am obsessed with the line. The design, durability and articulation are just a joy to work with! I have spent entire afternoons photographing this figure and I still feel there’s so much more mileage I can get from it. This figure was my first 1/6 collectible and I am still waiting for a figure that can top the versatility of this guy. Currently I have kitted him with modern day weaponry and he just owns the look. It doesn’t feel out of place. While he is a little dated in terms of body quality, he still beats most of the figures on the market today. He’s one of the few figures I would never consider letting go of. There’s just something about him that makes him a perfect candidate for all kinds of photo shoots. This little fellow is the cutest droid after R2-D2 for me! Sphero did an outstanding job on him. BB-8 is so lifelike and he’s stuffed full of some very cool features like emoting to a Star Wars film if its activated while the film is playing. I think this figure could be the future of action figure. 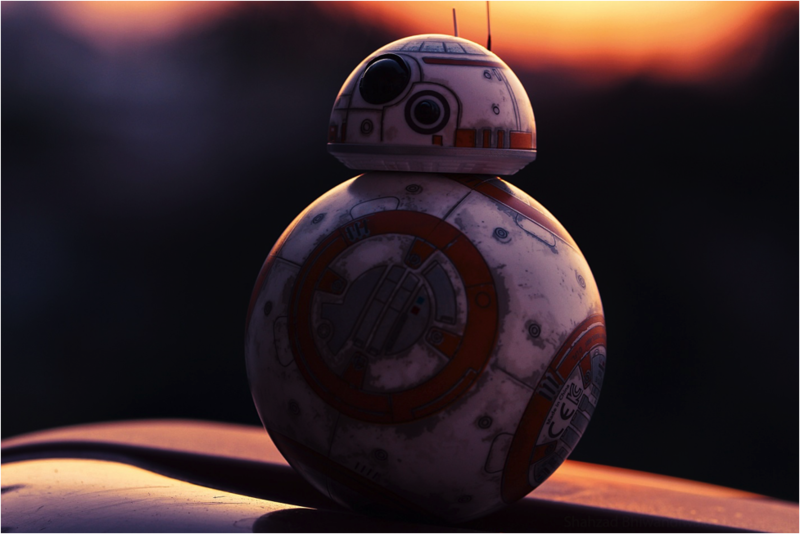 This version of BB-8 possibly the most futuristic figure I have and being a cute ball just makes it all the more adorable. He doesn’t come with much in terms of accessories or anything but sometimes a well-made figure is complete in and of itself. And this would be one such figure. I hope you’ll have enjoyed this list and I would love to know what your favorite figures are as well. Feel free to let me know! Feel free to ask any questions you might have on the photographs as well. Previous PostAnother Series 18 Contest! Wow, you’re opening up a whole new world for me! I’ve been looking around for more moveable and versatile realistic figures, and I think I may follow up on the manufacturers you mention. Thanks a lot! Your is both helpful and fun. Cheers! I’m always fascinated when toy photographers pick their favourites. Mine change daily! But I can see why you’ve picked the ones you have. You photos of them are outstanding. 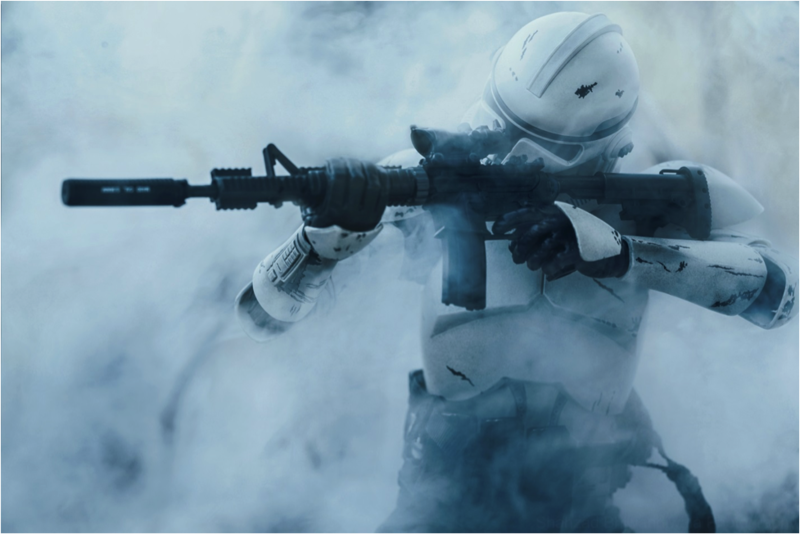 I have the Sphero BB-8, but I rarely shoot it. Seeing your shot makes me realize I should more often. Amazing photos Shahzad! The first one of Grishnak is amazing; the colors are outstanding. Thanks so much for sharing your favorites; I can totally see why you would choose these toys. Although the way you’re photographing them, it is easy to forget they are simply pieces of plastic. Really fabulous! Every time I think I have decided not to buy the Sphero BB-8 I see something like this! Your choices of toys are inspired and your images of them inspiring. Wonderful stuff Shahzad.